In the most recent issue of Young Exceptional Children, Bonnie Keilty, Ed.D., wrote the “Voices from the Field” about using infant & toddler development and family systems as the framework for early intervention practice. She suggested that building effective practices around child and family development, family functioning and family systems would help practitioners do two important things: 1) be better prepared to implement effective practices and 2) better understand the link between recommended practices and their actual work with families. Both of these align well with the mission of this blog so naturally they snagged my attention. Bonnie also described how this perspective could be woven throughout how we approach intervention and the strategies we use with children, how we support families, and what we expect of a competent EI workforce. This made me think about the scope of early intervention professional development (PD): how are we preparing and supporting early interventionists so that they have the knowledge and skills necessary to do the job well? To be honest, I don’t think that I have or any one blogger has the answer but I do believe that combining ideas often leads to better things. I’m excited to join Bonnie and her colleague, Kristie Pretti-Frontczak, Ph.D., of B2K Solutions, Ltd. to do some thinking about this question and the framework Bonnie described in her article. In a series of blog posts, I’m going to provide some strategies for PD providers and early interventionists about to how to use this framework to support effective practice, and Bonnie and Kristie are going to tackle strategies for administrators and families. We’ll include links to both blogs so that you can follow the discussion and share your ideas. You can start by reading the “Voices from the Field” article, then check out Bonnie’s first post, Developing and Promoting Early Intervention Expertise – What Administrators Can Do. Okay, I started with a big one. I do believe that, as a field, we need to raise the bar for what we expect makes up a competent, highly qualified workforce. Imagine if all early interventionists had adequate foundational knowledge in infant-toddler development and family systems. Imagine if there were common standards for all early interventionists across our country. What if each state had minimum requirements for practitioners and for on-going professional development so that interventionists had to achieve and maintain a certain level of proficiency? I wouldn’t want a physician who was using outdated practices or who didn’t understand development helping me with my child; I think the same standard should apply to our field. What can you do? – Review your state’s standards and start this conversation at the local and state levels. It’s not uncommon for early interventionists to enter the field with very little training in how to work with babies and families, how to provide intervention in family routines, or how to work outside of a classroom or clinic setting. Because there is so much to teach when training students, and EI is such a sub-specialty, the EI portion of the content in many programs is unfortunately quite minimal. Is there a way to equal the playing field and spend more time on EI content? Can more information about child development and family systems be woven into existing coursework? Can students be pointed to other resources that exist outside of university programs for this information? What can you do? – Partner with your local universities. Have current service providers and administrators collaborate with faculty to review curricula and make improvements together. Making sure that all interventionists understand the interaction between child development and the family context will help the pendulum swing from what is still practiced in some programs as a clinical model, to a more family-centered model of support. As Bonnie suggested, too, without this knowledge, it can be so hard see the link between what we should be doing and what we actually do with children and families. By making this information readily available and weaving family systems theory throughout our training opportunities, we can build the knowledge base and support providers in applying what they learn when interpreting development and supporting it in the context of where development naturally occurs. What can you do? – Offer learning opportunities that teach and refresh these concepts. Link with other PD providers to share resources so that we aren’t all “reinventing” the wheel on these common training concepts. We can teach interventionists how to fill out the IFSP form all day long but it won’t be meaningful without an understanding of development and the interconnectedness of the child to his/her family members. Maybe with a little collaboration and creativity across professional development systems, we can accomplish the goals we all have – that every interventionist is well-prepared and that children and families receive the supports they need. What are your thoughts about using child and family development as the framework for EI professional development? What suggestions do you have for improving the preparation of early interventionists? Thanks Dana for taking the ideas in the Voices from the Field article and identifying specific strategies that professional development providers can use to make those ideas a reality. Your ideas make me wonder about “what else” is needed at the preservice preparation level and what’s expected of inservice professional development. As you mentioned, there are few requirements needed to practice early intervention and limited opportunities to fully gain competence in early intervention practices during initial preservice preparation. That creates a lot of pressure on inservice professional development to focus on beginning, or foundational knowledge and skills, rather than the advanced practices, or continuing education, expected in other fields. If Idea #1 could occur as an initial requirement for all practicing interventionists, inservice professional development could then build on that knowledge and expertise, creating a larger and larger cadre of experienced, talented early interventionists to mentor the next generation. A vision to work towards. SNSD established “Adila Early Intervention Center” 4 years ago. This center is still small and week. We are looking forward for making relationship and possibly partnership with some well established institutions or organizations to gain knowledge and experience. SNSD is established in 1970 mainly to Establish “Amal” institutes for teaching and rehabilitating Deaf Children and care for Deaf people. It has come a long way ever since in thw face of tremendous difficulties and obstacles. I enjoy reading these blogs and appreciate the issues that are discussed. In reference to this blog, the items listed seem relevant to tackling the professional development situation. I am wondering, however, what the impact would be if during the hiring process particular attention was given to an applicants “fit” into the early intervention culture. Sometimes hiring is based on a desperate need to fill an EI position, which is understandable. Is it more important that the person have years of experience in a particular discipline or that their disposition fits or can accommodate to the EI culture. If that were a focus on the front end of hiring, that would be one way to help that person/agency start off on the right foot. Great point, Yvonnie! That initial interview is so important, but it can also be really challenging to get a true picture of a person’s temperament or disposition in the interview situation. That desperation that can be felt to fill positions is very much a reality, but like you, I hope people make their best efforts to find the right fit – for the team and, as you said, for the EI culture. What characteristics do you think make a good fit? Interesting to be in the middle of that process!! As a manager I would focus the characteristics on the needs of the program and how we can help the candidate grow within the position while working in EI, of course taking into account his/her background and prior experience. EI is a totally different world and people take time to adjust, understand and most importantly believe. Yes, exactly! It really is a different world – I’ve even heard that from parents too. I really like how you say you’d help the employee grow within the program because that sounds like you have an ongoing priority for the professional development growth of your staff. We should all be lifelong learners and it’s so much easier to do that with the support of leadership! Thanks for commenting, Adriana! This blog poses many important and interesting ideas related to professional development. I like the idea of finding more ways to facilitate a common ground among early interventionists. I would like to comment on idea #3. I believe it would be beneficial if we had a better understanding of the interaction between a child’s development and their family environment. We are not usually trained specifically to understand family dynamics or the family system in general. Having greater knowledge about family relationships may help us to improve the way we support some of our more challenging families. This may also assist us in asking better questions that will allow us to have greater understanding of each family’s unique needs. Since a child’s social-emotional development is directly tied to him developing strong bonds with his family/caregivers it would be important for us to learn strategies to both identify when this is not happening in a family and how to help facilitate improved relationships within the context of our interactions with families. I would welcome the opportunity to learn more from the family support professionals that engage with our more challenging families. I am relatively new to Early Intervention in Northern Virginia but have experience in Texas. As a Master’s student I was given a grant that paid for my degree in Speech Pathology if the bulk of my Master’s work was done in practicum work focused on early intervention. We had practicum sites that included working with an EI therapist in the home and center-based settings. I think this type of collaboration with the University of Texas at Dallas provided amazing exposure to our field and prepared students to make a real choice about what setting they wanted to be in. Sometimes the thought of working in homes can be a scary thought for a clinician fresh out of school but the guidance and training at the university level made it a very comfortable and exciting option. Sounds like a great program, Kristen! The natural environment can be kind of scary because it’s not very predictable, you don’t have your supplies, and basically you’re not in control. Getting good exposure to non-clinic environments and having strong mentors is so important in that preservice training period. I’m really glad to hear you had a good experience. Sometimes, EI can get a bit brushed aside in favor of school-based options with perks like getting your summers off. Having experiences in lots of different settings is really how we all figure out where we belong! I know when I started out in early intervention, I was clueless and scared. Our company developed an extensive mentoring program for clinicians new to the field. we formulated a list of competencies/skills that the clinicians are expected be knowlegeable of within the first year of working in EI. We provide mentor visits from all disciplines and have weekly meetings for the first 6 months. we also have monthly observations of our clinicians. We want them to be successful and hopefully decrease that anxiety. Sounds like you have a well-organized system for supporting newbies! Are the weekly meetings 1:1 with the mentor and the new clinician or are they group meetings? I think you make a great point about a company’s commitment to supporting its staff and ensuring that they are successful. That kind of focus and support makes it so much easier for interventionists to have the knowledge and skills they need to best collaborate with families. How does your company support ongoing professional development? Do you have requirements as a company or do you follow the licensure requirements of the different disciplines? I feel EI is so successful due to the professionals who respect and understand the interconnectedness of the child to their family members. If the family is the center of creating the IFSP goals then they’re more likely to put in the work that is needed to help their child become successful. As interventionists if we support the family then they will in turn support their child through this process which is difficult for many parents. You make a key point, Leigh. When we work with and through the parents, the child benefits so much more. That really is what effective early intervention is all about. Do you have any tips for helping parents who are having a difficult time with the process? Idea #2 really struck home with me in that when I started my very last clinical rotation, in pediatrics, I still had little to know understanding of what Early Intervention was. After one day on my first EI experience, I was completely shocked by what it entailed but at the same time I was hooked and knew that it is what I wanted to do. I think that if more students had the experience to see what EI encompasses and the extent to which we can effect not only the child but the parent’s life, that a lot more students would feel comfortable with the transition into being EI clinicians upon graduation. As they tell us in school, education is the key. I feel that this is one area that is really lacking in our training as new graduates, and by increasing one’s exposure to EI during your clinical/coursework, that we would have a lot more therapists wanting to enter early intervention. This then carries over to Idea #1 in that when we receive the appropriate education when we are students, the more likely we are to be “continuing educators” in our future years as clinicians. I’ve heard many other people say the same thing, Kathryn – that once they experienced EI they were hooked! Increasing the exposure to the EI field could be improved in lots of disciplines, even in my own (Early Childhood Special Ed). Is spending time in EI a typical option in physical therapy or is it one of several choices in the pediatrics rotation? Just curious. Idea #2: I agree with what Kathryn just stated about not having a lot of good information about the practical application of OT after leaving school. Most Academic programs focus on the foundation and philosophy of OT when students need more hands on experience and exposure to get them orientated to what the OT world actually offers. I am sure things have changed since my time in Graduate School but I feel as though we can better prepare our future peers with a more comprehensive education. Idea#1 I would love to have state/federal requirements on the education for EI professionals. As one small aspect of the issue is when you have parents relocating through out the country and they are having different experiences with their EI providers from state to state. This would also require the states to interpret the EI rules and rules and regulations more consistently. Also I find parent are so overwhelmed with the diagnosis of their child and the need for intervention services that they struggle to find their way through the system. Providing more consistent services will help them through the early years. I agree, Kate. The wiggle room on the law that allows states to determine eligibility criteria for their state programs has always baffled me. I suppose it’s there because of differences in state level funding across the country, meaning that some states are much better funded (by their state govt) than others so can support more children and families – even though we know that funding shouldn’t play into eligibility. The differences could also reflect some people’s desire for state-level govt autonomy. It must be very frustrated for families to have children who qualify for services in one state but who then move to another where their child no longer qualifies. I remember having a parent question me when I explained the differences in eligibility, insisting that I must be wrong when her child didn’t qualify. I suppose their are pros and cons to state autonomy versus consistency. Working with infants and toddlers without regard to family systems makes no sense. Of course we should be preparing students in university programs as well as providing inservice opportunities for staff to foster their understanding of family systems and development. I think there are so many levels to this, and as professionals we work at different levels of understanding as we grow and are supported. I really feel like one of the most significant issues we face is feeling like we should be “doing” something. Often in EI, we are coaching, discussing, planning, analyzing, considering… and often there are outside (as well as internal) factors that make us think we should be doing more. Really celebrating the family and truly helping them work through the ways to help their child fit into their life is really hard and we all need some true reflective support partners to make this happen. I’d also love to see ways we can incorporate understanding of the “newer” (read trending) ways of raising children as we are certainly dealing with different family systems but also different parenting philosophies. I agree, Laurie. It’s impossible to provide early intervention support outside of the family system. Just like every aspect of the work, from families’ unique activities and routines to the unique interactions between family members, parenting philosophies differ from family to family too. This job requires such flexibility and objectivity – both of which can be challenging, especially when a family operates in a way that is very different from our own values. 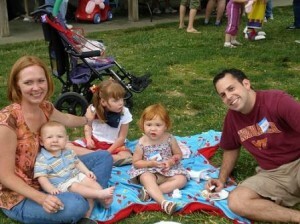 I’ll add your suggestion to my blog topics list and see if we can address differing parenting practices in the future! Thanks for the idea! As a new therapist this is something that is very relevant to me. I feel fortunate that I had the opportunity to learn a lot about early intervention before and during physical therapy school but I know that’s not the case for most people. We probably miss out on a lot of great early interventionists who don’t know enough about EI or are scared of entering this field. If other professionals within our own field don’t fully understand early intervention and especially the primary provider model, it is more difficult for the larger governing associations (APTA, AOTA, ASHA, accrediting bodies, etc) to feel the push to include more information about early intervention in educational programs and to advocate for collaboration, best practices and research, all of which are vital to improving early intervention services and professional development. I’m really glad to hear that you learned about EI in your preservice training, Jen. As you said, many programs don’t include much info about EI so it can be an “unknown” for new providers. I’m curious…what made you decide to enter this field? What was it that drew you to EI as a new PT? Perhaps this type of learning is best addressed in the field rather than in college. I was taught the fundamentals of child development from birth – three in college, as well as the procedural steps of how to write an IFSP and the legal timelines, etc. I learned the most, however, from working with professionals in other fields early in my career. It was the best way to see how speech development was related to other areas of development. Taking time to mentor therapists new to the EI field would be very beneficial in my opinion. Also, although you can study “family relationships” in college, it is difficult to truly understand them as each are so different. That was my experience too, Heather. I think most of what I know about EI I learned “on the job.” However, I am excited by the move forward toward more EI-specific preservice training. You’re right, that it can be hard to really conceptualize what you learn in college without the context of actually working with families where you can apply it. There is a move towards more/longer EI practica or internships, which is very needed. In the end, there is nothing like being with a real family. And, as you suggest, having skilled mentors to show you the ropes and help you learn makes all the difference. I would love to see a statewide mentoring system developed…maybe someday! I’m sorry I am a little late to the discussion. I strongly agree with #1 and I think even more than that there needs to be more national standards for EI. I have looked into EI services in other states for professional reasons and seeking out EI services for family members in other states. It is shocking to me how different EI can look in different states and how far behind the times some areas really are with providing EI services. It seems to me that there should be some national standards for how EI services are provided, eligibility for EI services and who provides those services. I have worked in several states and have seen different ways of doing things that all worked well and achieved the same result, but it is frustrating then to see an EI program that has extremely high eligibility requirements and is not child/family centered with providers who really are not qualified to provide true EI services. I think #3 offering more professional development in EI can definitely help to close this gap, but there needs to be more to make those geographical areas in need more accountable. Excellent points, Danielle! There is a national call for standards and even a national EI certification, but coordinating such things is the big challenge. As you’ve experienced, each state determines its eligibility criteria and professional qualifications, which can lead to great variability. The Division for Early Childhood (DEC) of the Council for Exceptional Children (CEC) has a workgroup developing competencies for early interventionists. These could be very helpful for promoting some consistency, but again it’s up to states to adopt them. Complicating factors include budgets, provider shortages, etc etc. Many states don’t have certification systems either (in fact most don’t) – VA is ahead of the game there. We do need some consistency across the field. As an educator, I *wish* we had a discipline certification/licensure for early intervention, similar to the licensure that PTs and SLPs have. The field of early intervention is quite young so hopefully we’ll get there! With the primary provider concept a cornerstone of many EI programs, a stronger foundation in child development at university level seems key. As a Communication Disorders student I received excellent background in neurology and in anatomy and physiology, but only from the lungs up. Luckily, my undergraduate special ed curriculum filled in a lot of the other development. Now I find that I want my families to feel confidence in my advice on sensory, fine and gross motor issues as well. Yes, I have knowledgeable OT’s, PT’s and Educators to advise and mentor me but an Early Interventionist still needs a solid background in typical development at the very least. Many comments above have been about the need for skills and a well thought out approach to working with families/guiding other adults. I lobbied my graduate program to provide course work in family counseling, family dynamics etc. but there was little time left for things not then considered a requirement. How do you other readers feel about what would constitute Thorough EI preparation? What a great question, Carol! I agree that a firm foundation in typical development is essential. I remember just starting out in EI and feeling like I really had very little idea about when children walk, how many words they should have a what age, etc. It was a big learning curve, especially when I wanted to know development across all domains. Idea #2. I personally gained most of my knowledge in the area of pediatric physical therapy through my clinical rotations and their various settings (inpatient, outpatient, aquatics). I knew from the beginning when I started my doctorate program that I wanted to work in the area of pediatrics so I communicated this with my advisors at my first meeting/interview with them and a lot of my classmates had this interest as well where our advisors made the extra effort to find additional clinical rotation sites in pediatrics to increase our chances in the lottery to get placed in one of them. Prior to graduating I also gave my program feedback that I felt the area of pediatrics should be discussed in more detail and not just briefly reviewed in a week or two as there is a lot to be learned and a very popular area to work in the field. It’s wonderful that your program showed such responsiveness to your interests. I agree that in many of our EI-related disciplines, including mine which is early childhood special ed, we need to offer more opportunities for students to spend time with little ones and their families. As you mentioned, finding placements can be a challenge too, even for those who are interested. I hope your program took your feedback to heart! Idea #3: I feel it is so important for an EI provider to be able to address the child’s developmental concerns but to also be aware and take into account the family needs and concerns. I find that many families are so overwhelmed with what their role will be in supporting their child’s development. They feel they need to be a “therapist” all the time. I always encourage families not be a therapist but to offer natural opportunities to engage their child into play activities that will support developmental progress. I want them to see that it’s not magic but exposure to opportunities to engage in activities that may not have been present in their environment due to lack of knowledge or opportunity. Absolutely! We don’t want to “turn” parents into therapists so we do have to be careful about how we share our expertise, by doing things like avoiding prescribing “homework” and instead, as you said, helping them explore what they’re already doing or could do in their environment. As a parent whose child has had PT and OT, it really can be overwhelming to try to fit special therapeutic activities into the day. When the interventionist helps the family plan for HOW to do it, it makes it much easier! I think thorough knowledge in typical development is crucial and worth revisiting. I definitely feel that we were taught this in college before we were truly able to apply it in the real world. When you have a thorough understanding of what is typical only then can you decide what is a-typical, delayed/disordered or normal and what warrants intervention and what doesn’t. I was fortunate to have many multi-disciplinary experiences prior to graduating with my M.S. The importance of knowing and treating “the whole child” was engrained in me from the start; however that approach is not respected in all working environments. I quickly decided I didn’t like “those” environments. Learning how “the whole child” typical or not fits into the family system is definitely something that I feel takes consistent devotion and flexibility as no two kids/families are alike. I think using child and family development as the framework for EI professional development is a well-thought out, valid idea and a definite need to bring interventionists closer to being on the same page. I think it might be a good idea to review typical child development birth-3 from each discipline’s perspective (PT,OT,ST, Vision etc) taking time on each one and possibly making each discipline a separate learning opportunity so that a more thorough developmental knowledge base about the “whole child” can be established and so we all have a chance to review and ask questions and further our developmental perspectives……then, take that newly reviewed, fresh knowledge and apply it back to how it fits into our family systems and how we can better fit into those family systems. Excellent suggestions, Chandra! Relating typical child development to family systems and having a thorough understanding of how they interrelate and affect each other is the foundation of what we do. It’s so wonderful to read on here about the preparation folks like you have had. The insights are so helpful. I know we have some university faculty who follow the blog…I sure hope they find their way to this post to read everyone’s insights and suggestions! I think with continuing early intervention education and a country wide initiative to have Early Intervention uniformed is essential so all are practicing the newest and best methods for development for the families and children served. As a new occupational therapy graduate, I am in complete agreement with Idea #2. The University of New England offers a great interprofessional elective, for OT, PT, and SLP, in which students are able to observe and interact with typically developing and non-typically developing toddlers during a once a week play group. Although their was little focus on developmental interventions, it was a great learning experience to watch the children develop over the semester long course. After each session, students from the different professions met to discuss what they had observed during the most recent session. As an occupational therapy student it was very beneficial to hear the other professions perspective and learn about pieces of development only minimally touched upon in the OT curriculum. During the play groups, parents were allowed to observe sessions via video, but also were provided with educational tools/resources to encourage their child’s continued success. Sounds like a great experience, Bry. Thanks for sharing about it! Training is important of course; yet in our field it is not for technical skills but keeping up with evolving theory & philosophy (family centered, parent coaching, moving away from 1:1 therapy and directing with supposed ‘expertise’). These are tough concepts to break away from in formal ‘academic’ training– because at times formal training implies formalizing skills & strategies. That said; Professional development needs to be Collaborative, Continuous, Hands-on, Self-reflective practice. Most importantly HOW TO EDUCATE FAMILIES on current practice. Often Professionals are the ones who know it has changed, it has evolved; yet parents & families are the ones still anticipating Our Roles. Excellent point that I don’t think anyone else has brought up, Lori. Do you have any suggestions for how we could better educate families about how EI is supposed to work? I always think that the first point of contact, when we describe what EI is, is a good time to start. As a recent graduate and newly practicing Infant Educator, I feel a strong connection to your second idea. My training program at James Madison University provided many enriching experiences in order to prepare me for the EI world. Our way of “equaling the playing field” is to create a program called Inclusive Education. This program focuses on early intervention, special education preschool, and school settings to grade 3. We learned about EI and young child development first, and then expanded to school-age children. This created a consistent family-centered teaching philosophy. At the completion of the program, students qualify for two VA licenses: one for Birth-5 years Special Education, the other for Pre-K to 3rd Grade Education. All of our professors were supportive of EI – they allowed each student to choose topics for a project, including both early intervention and school settings. Our practicum experiences, which occurred from junior year through senior year, provided a variety of settings. Personally, I worked in a Head Start Pre-K, 3rd Grade, 2’s Class at a daycare, 1st Grade. I was also able to connect with a local Early Intervention agency to volunteer one day each week. For student teaching, each of which was full-time for 8 weeks, I was in early intervention and kindergarten. I am so grateful for the curriculum that JMU provided, and the experiences I had. All students interested in EI should be able to practice it hands-on. I did find that a misconception existed between EI service providers and the coordinators of student teaching. My understanding is this: EI providers who want students are not reaching out to universities to ask for them. Universities are not reaching out to EI agencies because they presume other universities have students there. If a channel for communication existed between university coordinators and early interventionists, more students may have access to hands-on learning. Thanks for your thoughtful comment, Kate! I’m glad to hear that your grad program offered you such wonderful opportunities. The variety is really impressive. I’m kind of partial because I graduated from JMU too but I think it’s a great program! You raise a great point about improving communication between universities and EI programs. In our work on the professional development team, we would love to see this relationship strengthened across the state. There are many reasons why placing students can be challenging but I would bet that most could be overcome with great communication.